Chögyam Trungpa Rinpoche was a pioneer in bringing Buddhism to the West having fled from Tibet in 1958. He became well-known for presenting the essence of the Kagyü and Nyingma lineages in secular terms. Chögyam Trungpa Rinpoche had the profound conviction that the teachings he held could be transmitted to students in other cultures and that they, in turn, could be empowered to teach and lead others. Sakyong Mipham Rinpoche is Chögyam Trungpa Rinpoche’s oldest son and spiritual heir. He is unique in that he bridges two worlds—Asian and Western—having been brought up in both cultures. All our programs are led by teachers that have practiced and studied meditation and other contemplative disciplines for many years and have gone through a thorough curriculum of teacher training and practice. We also host teachers from other respected traditions such as Qi Gong, Kyudo, Ikebana, etc. Acharyas and Shastris are senior Shambhala teachers who have been empowered as representatives of Shambhala Buddhist lineage. They are chosen because of their knowledge, wisdom, and commitment to the Shambhala teachings. Shastris teach the Shambhala Path programs and support the Shambhala leadership in building the community and strengthening the vision for compassionate, sustainable, and just human societies. At Karmê Chöling, the following teachers play an integral role in the vision for our programming and the community. Acharya Duquette has been a student, leader, and teacher in the Shambhala lineage since 1974. 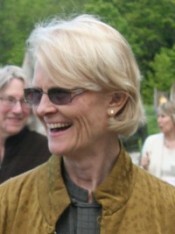 Former co-director of Karmê Chöling, Suzann is currently Resident Acharya for the center and a core faculty member of Karmê Chöling’s Mukpo Institute. Sakyong Mipham Rinpoche appointed Suzann Rupa Acharya in 2012. In this position, she is responsible for maintaining and fostering the sacred ceremonial and liturgical forms of Shambhala, including those taught at the Shambhala Ritual Academy. Acharya Duquette leads programs and retreats widely on behalf of Sakyong Mipham Rinipoche. She respects the power of embodiment in bringing conceptual learning to manifestation, and emphasizes body awareness and disciplines in all her teaching. She is currently a Mudra Space Awareness teacher in the lineage of Chögyam Trungpa Rinpoche, and a Qigong instructor in the lineage of Eva Wong. She lives with her husband, Jan, in Barnet, where they own a bed and breakfast, Blue Skies Guesthouse. Acharya Greenleaf began his Buddhist practice as a teenager after meeting a senior student from Chögyam Trungpa Rinpoche’s sangha in 1974. He attended the 1978 Shambhala Vajrayana seminary with Trungpa Rinpoche and has twice served as residential staff at Karmê Chöling. He continues to study and teach at advance retreats led by Sakyong Mipham Rinpoche. He is member of the core faculty of Karmê Chöling’s Mukpo Institute, a three-month path of practice, study, and community. 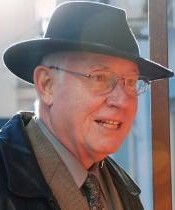 Bill Brauer served as Executive Director of Karmê Chöling. He has consulted for large corporations on leadership training, succession planning, and developmental feedback and strategic planning. 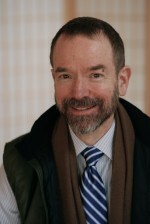 In 2010, Shastri Brauer was appointed as a Shastri by Sakyong Mipham Rinpoche. He fulfills this role by leading Way of Shambhala classes, dathüns, Meditation Instructor Training, and Shambhala Training Levels throughout North America and Eastern Europe, and recently Russia.